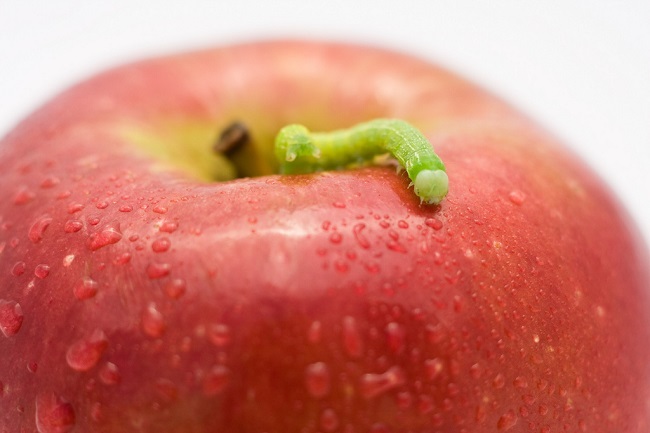 TORONTO, August 30, 2017, (News) - For Judith (37) from Toronto, a yoga teacher and a long-standing vegan, afternoon meal turned into a true nightmare, when she realized that she had eaten a worm from the apple, thinking she was eating a ripe apple. She is now concerned of her health, since she imported 3 grams of animal protein into her stomach. - At approximately 10:30 this morning, we received the phone call from Judith with a request to urgently come to her place and perform detoxification, known as gastric lavage, because of suspicion of poisoning - said Dr. Kevin Castellani from Toronto's ambulance service. The mobile team of the St. Joseph Hospital hospitalized Judith, who admitted that her homeostasis was seriously compromised, and that the consequences for her organism were unimaginable if these proteins of animal origin reached the bloodstream. Shortly thereafter, Judith was declined the hospital service and she was escorted out of the hospital without the required therapy. Judith was outrageous. Her yoga students have a lot of understanding for her dissatisfaction. - Shame they did not provide her with the required treatment. Judith is a good yoga teacher and a very responsible person in her own right. She takes strict care of her diet. Whatever she eats, she checks three times what is served. In Toronto yoga community, there is probably not a single person who is not familiar with Judith's nutrition, says one of her yoga student. We looked at the matter ourselves and our research shows that the concentration of worms in apples and other fruits and vegetables, according to certain vegan standards, should not exceed 3 mg, which is one fifth of an average worm. Judith has eaten the whole worm!!! She was not in a position to make statements for the media. The NGO "Vegga Eatt", which promotes veganism and animal protection, sharply condemned this barbaric act of killing a worm. A lawsuit against Judith has been filed for the murder in negligence, before the International Court of Justice in Strasbourg. In conclusion... don't eat worms! You are what you eat. Forgo the junk food and go for clean, healthy foods, particularly fruits and vegetables as well as whole grains and lean protein. Proper nutrition is a must for a long, healthy, stress-free life.